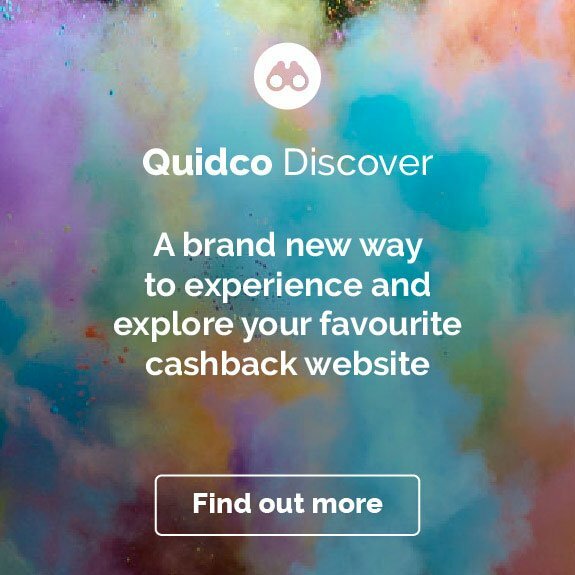 Earn cashback on your next hotel booking thanks to Quidco’s cashback deals with Booking.com. From family-run B&Bs to 5-star luxury resorts and even igloos to tree-top escapes, you can book with over 85,000 destinations worldwide. 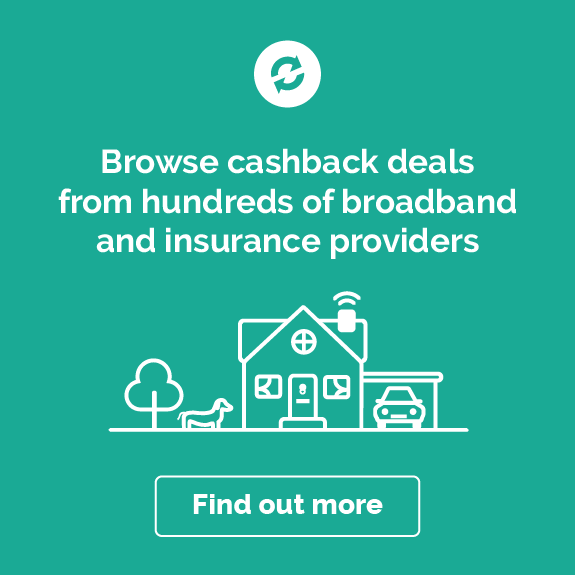 So whether you’re booking a staycation in one of the UK’s most popular cities, are planning the holiday of a lifetime sightseeing in New York, or have an adventure-packed ski holiday on the cards, check o­­­­­ut the links below to see how you could save money and earn cashback on Booking.com. 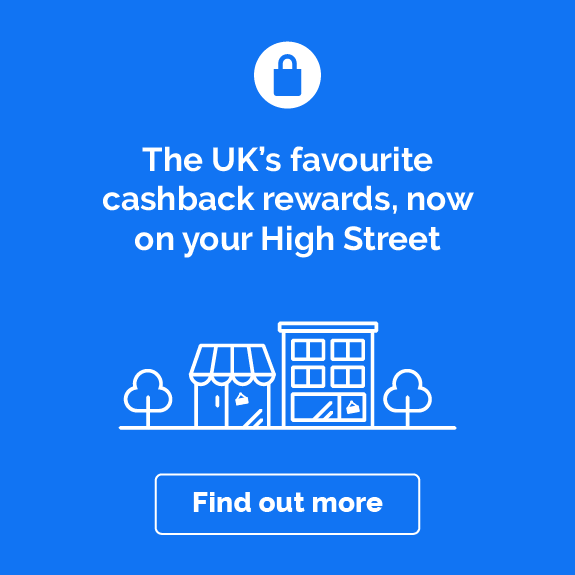 Do you want to know how to make the most of your Booking.com cashback? Read on to get inspired on how you can start saving! The first step on your journey; create a Booking.com account. With a Booking.com login, you gain access to a personal dashboard, where you can search for your next holiday destination or the best deals on a business trip. You can access all your current bookings and have your confirmation sent to your phone or tablet. Plus, when you’re back from your trip away, sign in to Booking.com and leave reviews to let future holidaymakers know what a great stay you had. There’s even tips to help you write your first review. You can also create My Lists in your Booking.com account, where you can save any properties or places to stay that you like the look of, which will help plan your next holiday, and you can even share them with friends. Have you ever had a really memorable summer holiday and wished you could relive every minute? Well in your Booking.com account, you can also view all the previous places you’ve stayed. So rather than searching for that idyllic farmhouse you booked in France a few years ago, or jogging your memory for the name of that hotel in Edinburgh where you spent New Year’s Eve, just check back at the last bookings you made to see if there are more great deals at the places you love. Not only is Booking.com a really quick and easy way to book your next holiday, it’s safe and secure too. however, and not as a package, you won’t be covered. So if you’re unsure, get in touch with Booking.com beforehand to find out how you would be covered if anything were to happen while you were on holiday. With vacation packages, you get everything from flights to airport transfers and accommodation sorted for you. However, when you want the freedom to plan your own itinerary and explore the way you want to, Booking.com is ideal. On Booking.com you can find flights and hotels to apartments and car rental. You can even book trains and buses if you’re planning a trip to Europe, or book a table at one of 40,000 top restaurants from London to Los Angeles and Ottawa to Osaka. That’s because Booking.com, Rentalcars.com, OpenTable and more are part of The Priceline Group. So just by visiting the Booking.com homepage, you get the flexibility of booking a trip your way with the convenience of organising everything in just a few clicks. How does Booking.com work for hotel reservations? Booking.com lets you make reservations at hotels all over the world. It acts as the agent, or intermediary, between guests looking for rooms and accommodation with rooms to offer. Once you make a confirmation on Booking.com, your booking is given a reservation number and the hotel is notified of your reservation. When it’s time to pay, the transaction is made between you and the hotel, and you pay the agreed rate after your stay – it may be earlier in the case of non-refundable bookings though. The hotel then pays commission to Booking.com after your trip. How does payment work on Booking.com? The payment for your stay is made between you and your accommodation. In most cases, you pay when you’ve finished your stay, but for some properties on Booking.com, prepayment is required as part of their policy. How much that is will depend on the accommodation, so make sure you double check before booking to avoid any surprises. If you’re asked to enter credit or debit card details on Booking.com before your stay, this is to confirm your reservation. It’s also to ensure your card is valid and has sufficient funds when the time comes to pay. In some cases, the card you used to make the booking will be charged when you check out, or for any prepayments that are part of the property’s policy. When it’s time to take payment is not down to Booking.com, it’s up to the accommodation and their policy, so it’s best to contact them directly for any queries about payments or charges to your credit card. Cancellations on Booking.com also depend on the accommodation’s policy. Hotels on Booking.com without FREE cancellation on their listing may charge your credit card if you change your mind about a reservation, so do double check. How do I cancel on Booking.com without paying a fee? On Booking.com, the cancellation policy for a reservation varies from accommodation to accommodation. If your booking states FREE cancellation on the listing, then you may not be charged if you need to change your reservation on Booking.com. But for bookings that are Non-refundable, it’s not possible to change the dates of your reservation, and if you cancel you might be charged. Check your booking confirmation for more details on your accommodation’s cancellation policy if you’re unsure, and manage changes to your Booking.com reservation by signing into your dashboard. Not only can you find amazing deals on chic boutique hotels in the city to luxury beach resorts on Booking.com, with vouchers and discount codes through Quidco, you could make your money go even further. That dream holiday in the sun or the snow could help you earn great cashback rewards, so the next time you want to book a getaway, check the links on this page for unmissable Booking.com deals. In the unlikely event that there is a problem with your reservation, Booking.com’s Contact us page should be your first port of call. Depending on your complaint or query, you can pick from a selection of categories and find some quick answers to your question. If you can’t find the answer you’re looking for, you can drop the help team a note online or contact Booking.com customer service over the phone. With a support phone number in multiple markets across the globe, you can call the Booking.com team anytime. There’s more than one telephone number for each market as well – one international line in English and one in another language. Just bear in mind that local charges do apply for in-country customer service numbers at Booking.com, and extra fees may be payable for international numbers. Alternatively, if you think you can settle your query online, email Booking.com by writing out your message on the Contact us page. Just submit your email address and your Booking.com booking number so they can deal with your request and get back to you as soon as they can. Booking.com offers great rewards for both holidaymakers and their accommodation partners. The Genius programme aims to connect their most loyal guests with their best partners. Guests can join the Genius programme by completing five stays in two years, and partners just need to offer 10% off their most affordable or most popular rooms. For partners, the perks of joining Genius can see their bookings increase by 7% on average because Booking.com will tag accommodation with the Genius logo and boost their search rankings. This makes it so much easier for Genius guests to find amazing accommodation faster! But there’s more. Any guest, whether they’re on the Genius programme or not, can earn great rewards by referring a friend to Booking.com. If you share the unique referral link from your Booking.com account with a friend, you can earn £15 for every person you invite. Your friend can earn rewards too – if they book and stay at accommodation through Booking.com, they get £15 as well! As well as finding great deals on stays in all corners of the globe on the Booking.com UK site, you could book your next big adventure through the app. Available on iPhone, iPad and Android, the app lets you browse hotel deals anytime, anywhere. And if you find yourself somewhere new and need a place to stay that night, you can find amazing accommodation just minutes away at nearby hotels depending on your location. So download the app for free, then the next time you’re daydreaming about some winter sun or a coastal getaway on your commute, you can make it happen in a few taps on your smartphone. How did Booking.com get started and where is the company based? Booking.com has come a long way from life as an Amsterdam start-up in 1996 to becoming one of the world’s leading travel e-commerce platforms. There are 198 Booking.com offices in 70 countries, but its Amsterdam office is its base. Today, Booking.com is part of The Priceline Group. It carries on its mission to help people experience the world, by making travel as smooth as possible. By connecting holidaymakers and people on business trips with hotels, apartments, holiday homes, B&Bs, 5-star resorts and truly unique accommodation, people have the flexibility to create their ideal trip for themselves, without booking fees. Whether it’s a ski holiday, sun in the Seychelles or a trip away with work, you can make great savings and spot unmissable deals with Booking.com. Plus, their Price Match promise gives you even more opportunities to get the best deals no matter what your budget. And to really make the most out of your Booking.com getaway, check the Quidco discounts and promo codes to help you earn great cashback and save money as you discover new destinations around the world. 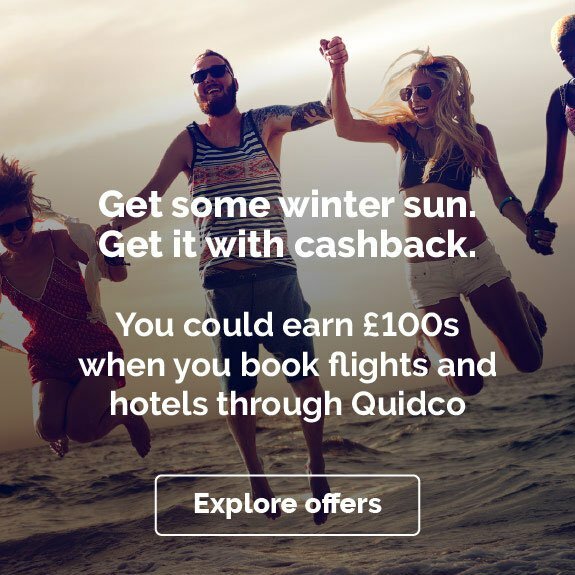 Come rain or shine, you can make big savings on all of your Booking.com purchases all year around with Quidco’s cashback offers. To find out how you can make the most of your cashback with Booking.com check out some of the ideas below. It’s great to get away just after Christmas and unwind after a busy festive season. And what better way to escape from it all than with a ski and snowboard holiday? You can find amazing flight deals and hotel stays with Booking.com in resorts that are great for beginners and the most experienced skiers and boarders in your group. Check out the range of accommodation in popular French resorts like Val Thorens and Val dʼIsère, or maybe go further afield and explore beautiful Banff and Whistler in Canada. But to really make the most of your alpine adventure, keep an eye on our Quidco deals, voucher codes and promo codes to see how you could save and earn cashback the next time you want to hit the piste with Booking.com. 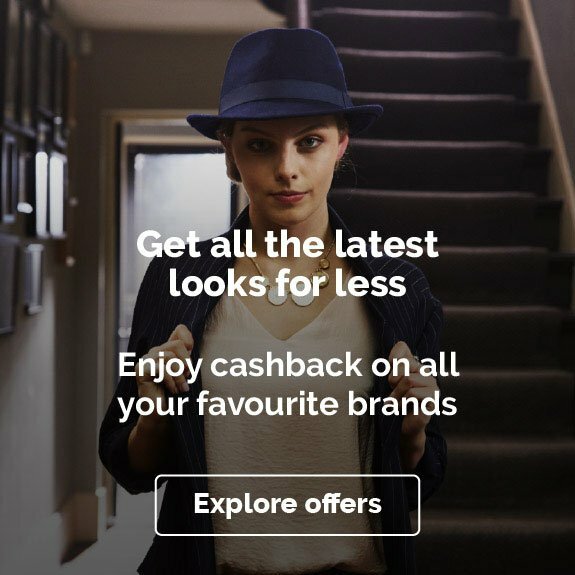 Looking for more amazing cashback deals on your flights, hotels and more? Then check out Expedia, Hotels.com and Lastminute.com.